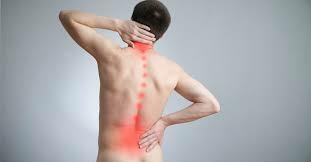 What is the Right Treatment for my Back Pain? Last week I talked with Dr. Peter Peduzzi, a chiropractic physician and disc rehabilitation specialist, about cryotherapy (Ice therapy) and how he uses it in his practice at The American Back Center. We talked Q&A-style on the types of injuries he treats, how he uses hot and cold therapy with his patients, and the benefits and problems he sees as they relate to the back. Helen: Can you give us a little background in your business as it relates to Back Pain Relief? Dr. Peduzzi: My practice specializes in disc, back and joint conditions. Typical back injuries that I treat range from herniated, bulging and degenerated discs, to chronic low back pain, sciatica, spinal stenosis and post-surgery work. We typically use Vax-D to treat our patients, which is designed to reduce pressure on the spine, in addition to therapy and rehab. Helen: In your practice, how do you use ice therapy? What are the benefits? Dr. Peduzzi: For our patients, we recommend icing in the acute injury phase of care. (Within 24-48 hours of a back injury). After a Vax-D treatment, I recommend my patients to ice 20 -30 minutes every 2 hours to reduce swelling, pain, and medication dependencies. Helen: What are the biggest problems you see with ice therapy for your patients? 1. When icing or heating, you always want to protect the skin. Sometimes patients put the therapy directly on their skin, which can be quite damaging. 2. Putting ice in the wrong place. With disc problems, often times people have pain radiating down the leg. That is the symptom where they are icing, not the origin of their problem. 3: Sometimes people leave the ice therapy on for too long when sitting still. Your body always tries to keep equilibrium: constricting and dilating the blood. Researchers say after 30-40 minutes, with acute pain, this can be damaging and your body will have trouble keeping this equilibrium. 4: People sometimes confuse when to use ice and heat. For acute pain injuries, you don’t want to use heat therapy because heat can cause an increase in blood flow to the area (Vasodilation), which can actually make the swelling and inflammation worse, this is contraindicated for someone such as with a “hot disc”. Helen: When do your patients use heat therapy? Dr. Peduzzi: Heat can be used after the acute swelling phase has passed. You want to get blood flowing to area to heal quicker. I recommend using heat therapy 20-30 minutes every 2 hours to increase blood flow to the area. Helen: Are there any other learnings about hot or cold therapy that people may not know about? Dr. Peduzzi: For people dealing with chronic low back pain, I recommend a combination of ice and heat to pump blood in and out of the affected area and to remove waste material residue occurring following injury as the tissue remodels. For people who tend to have flare-ups after workouts or muscle exacerbation, ice therapy is recommended. For people suffering with tight muscle spasms, heat tends to work better.